New Home Sales Professional and New Home Sales Managers training is our specialty. 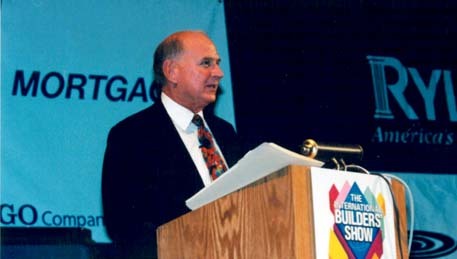 who was named 2006’s Legend of Residential Sales & Marketing by the National Sales & Marketing Council of the National Association of Home Builders. Richey has seen just about every up turn and down turn the economy can throw at the housing market and knows how to help you survive and thrive. His on-site, specialized training can take your sales staff from merely adequate to exceptional. His off-site training via webinars or the resource library can train fundamentals into the motivated sales professional. Tom’s seminars impact thousands of sales and marketing professionals annually, and his Top Gun Management seminars have gained international acclaim. Tom is the 2001 recipient of the Trina Ripley Excellence in Education Award, the coveted Bill Molster Award, and has been featured in Money Magazine, Wall Street Journal, Los Angeles Times, Time Magazine, Sports Illustrated, and NFL Films.